I just got this email from my mom: "The friends who are hosting the Passover seder we are going to attend requested that I make a potato kugal. I really loved the kugal that I've eaten at your house (made by Aaron last Passover). Could I please get the recipe from you?" Pesach is one time of year where I use recipes, at least as a starting point. I highly recommend The Spice and Spirit Kosher Passover Cookbook. It goes beyond recipes and tackles every practical aspect of Passover. It's also great for gluten-free cooking, because most of the recipes don't use matzah meal or any manufactured products. My Spice and Spirit Passover Cookbook is my Passover hub. Every year as I put away my passover things, I make lists: "What I have," "Buy next year," and tips like what not to make, and what to buy more or less of... more eggs and bananas, no more than 2 kg of matzoh. I stick my lists in my cookbook so they're all ready when I'm ready to shop and plan the next year. 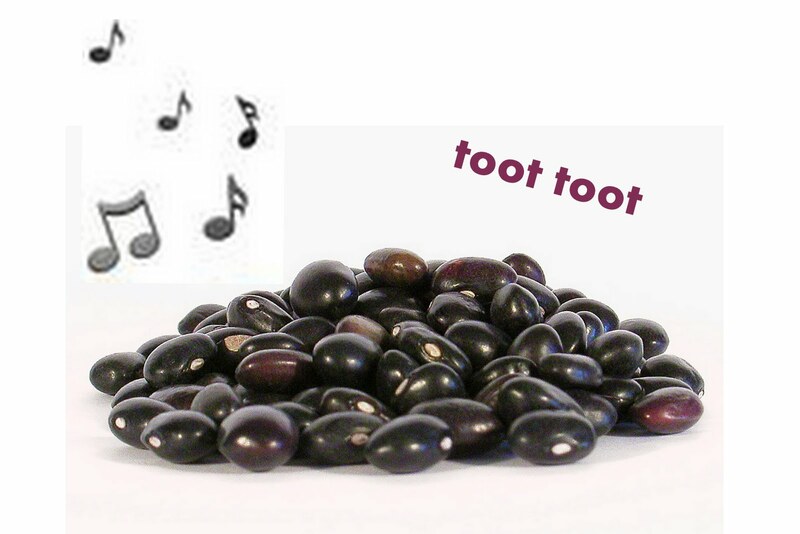 I've been thinking about beans. Have you heard of the Paleo Diet or the Caveman Diet? The idea is that our bodies were better off eating a pre-agricultural diet. I watched a little video intro to the diet and I remember an argument against eating beans something along the lines of, "since you have to soak them and boil them to make them edible, that's a sign our bodies weren't meant to eat them." That just isn't a good enough argument in my book. I believe there are A LOT of problems with the diet of most people on earth. However, I also believe it is possible for humans to evolve and that different cultures may have evolved to eat and digest different regional menus. I recently read a post from Whole New Mom about de-gasing your beans using Ajwain and Epazote. It really got me thinking about digestive aids different cultures have developed to accompany their regional cuisine. I posted on the Israel-Food Yahoo! Group asking if anyone had tried Ajwain and Epazote when cooking beans, if it was available in Israel, and what it is called. No one had found it in Israel, but I did get some interesting answers I would like to share. Lahuch is a soft stretchy pan bread like a cross between a pancake and laffa bread (like giant pita without a pocket.) It has wonderful bubbly holes like a pancake, but is firm enough to be wrapped around fillings. I like to eat it plain and just tear off pieces to eat. You can serve it warm with sweet spreads or savory toppings like tehina, tomatoes, and eggs. And it is easy to make because there is no kneading or rolling required like other breads or tortillas. It is traditionally "baked" over the fire in a heavy cast iron skillet, but if you don't have one, a non-stick pan on medium-low should work well. I first tried Lahuch (lachuch or lahuh) when my friend Michal took me to the bazaar in Rosh HaAyin that is only open on Friday. Vendors are packed under the giant tents hocking cheap clothing, "chachkes," and food stuffs. (Pictures below.) There was also a vendor selling fresh Yeminite baked goods like kubaneh, jachnun, lachuch, and malawach piled high with toppings to order. Michal got me instructions for Lahuh from her Yeminite friend. I've been meaning to make it for over a year now, but just because I haven't gotten around to it doesn't mean you shouldn't get the recipe! In honor of my Mom's birthday today I want to share this delicious chocolaty recipe. My friend Tzippy made these knock-off Ferrero Rocher truffles and my mom and I got to try them a couple weeks ago. Amazing! Makes 25 balls of nutty, creamy, goodness. In a food processor, finely chop "gliliyot" rolled wafers and 50 grams of nuts. Add nougat spread and mix well. Cool in the refrigerator for about three hours. Create balls and place on baking paper. You can leave them in the freezer for 10 minutes if the balls are too messy. Place whole hazelnuts in the center of each ball, if you want. Dip each ball in chocolate and roll in krookant crushed nut topping. Have a lovely spring to all and... Happy birthday Mom!! This is so tasty and easy! You can snack on them with your hands, put them on salad, or just eat them plain with a spoon. 1. Rinse a can (or two or three) of chickpeas. 2. Put them in a zip-top bag or bowl with olive oil. 3. Season generously. I used curry powder and salt. Mix well. 3. Spread them in a single layer on a baking sheet and roast on high until they take on some color, 15-20 minutes. Alternatively, soak dry chickpeas overnight, dress, and roast at 400 F / 205 for a little over an hour. For a great Good Eats episode, check out "Pantry Raid XIII: Destination Chickpea." Day 0 - We remove all our food, dishes, oven, and refrigerator. Set up temporary kitchen in the dining room. One of the mitzvot (commandments) of the Jewish Holiday of Purim is to give gifts of food (at least two types of food) called "mishloach manot" or "Shalach Manos." There is an idea that it should be ready to eat food that can be enjoyed for the festive Purim meal. However, the most popular gifts are candy and cookies. I just moved my oven and fridge into my new kitchen yesterday (I'll post details of my kitchen renovation on Sunday.) so I had a last minute idea to make dips and give them with a pack of crackers. I also made a few packages of nonperishable packages for unexpected visitors, because the dips didn't stretch as far as I expected. 1.Wash bell peppers and take excess paper off garlic. Cut and seed peppers if desired. Alternatively, you can roast them whole, flip them half way through and seed them when you peel them. 2. Roast until the peppers are very soft and the tops are black. 3. Remove skin when they are cool enough to handle and squeeze a few cloves of garlic out of the skin. 4. Hand chop a little bit of the peppers and a few olives to top the dip.